Frame, body & intetrior should to be in good shape, I can deal with the mechanicals-- I'm just no good at body work / paint. Would prefer a 350 / 350 eng./ trans combo. MUST have swivel buckets-- prefer black cloth seats / interior, and center console shift and small opera windows. An original A/C car is a plus. A running & drivable unit in decent shape would be great. I don'the mind paying a fair price for a good looking unit. I don!t have a lot of free time after work, so I'm not looking to take on a multi year project at this time, Just sonething for Saturday night cruising. I live in central Illinois and don't want to drive 5 states away to purchase unless you are willing to meet half way. PM me with phone number / contact info, ask for John. the frame and body is in decent shape, i just put new quarter panels on it. Front seets are bench, black, column shift. Runs and drives, insured and registered. Could you text me some pictures of exterior / interior. My cell #309-338-3637 in Illinois USA ? or maybe e-mail ? 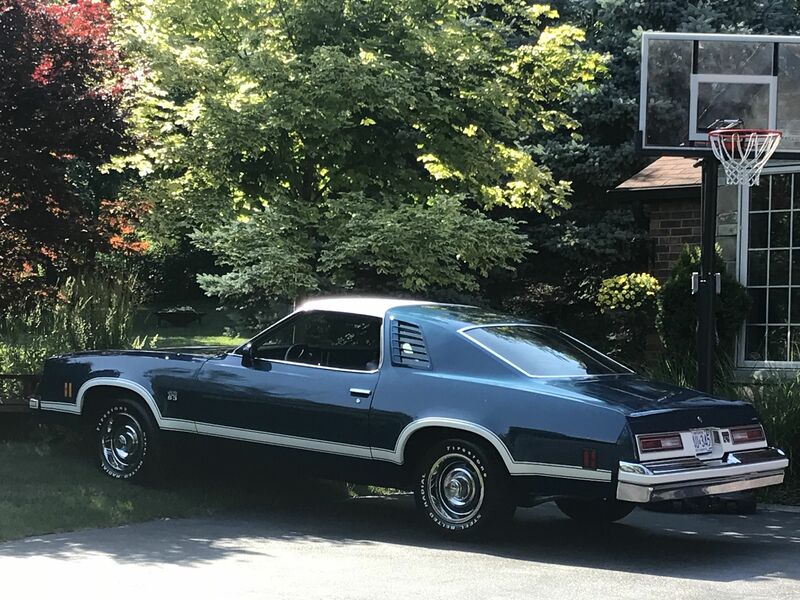 Here's a '75 in the Chicago area. Not everything you want but seems like a good start. Hawk03 Hay thanks for the info on that 75. looks like a great unit, I'll have to talk to mama about it. Little more then I'm looking to spend-but looks to be great shape and best of all only couple hours north of me. Any particular reason it must be a 75? No problem, if I see any more I'll post them. I like to see what out there. That one has been for sale for a few months so they might come down in price. Never should have let that one get away. Due to moving 5 states away and owning 3 cars, a truck and bike, some had to be sacrificed with no storage options at the time. Can't believe you have not found one yet but if your patient one will find you. I'm on the fence selling mine to get a Leman's or GTO. But it does not quite fit your wants. This popped up on the Facebook page. Seems to be a pretty solid '75 in the state north of you. Just an FYI update on my quest to locate a 75. At this time I have an accepted offer on a very clean, low mileage 77 with excellent documentation. No it's not a 75, however all factors considered, I made an exception. 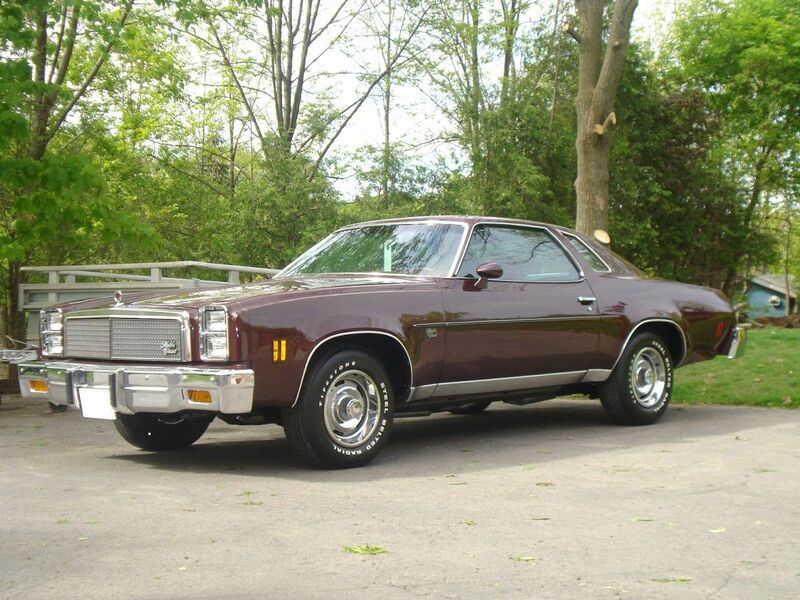 I will continue to look at 75's, and it wouldn't be beyond me to have a pair of Malibu in the garage. I would like to thank everybody for contacting me with possible units to buy. Life is good. Happy New year to all the g3 members ! Update ! Finalized purchase of 77 Malibu yesterday. It' s been a long winter trying to trailer car when roads were crappy all the time. Car is in great condition, everything pictures showed it to be. Maybe some small hometown car shows in future and Saturday night cruise ins. Thanks to all involved. Thats terrific. This is mine. (76) I've kept, sort of the same story bought while with my high school girlfriend (now wife) in 84. Still have it ..... Any pics?? S3SS That's a very nice looking malibu, very glad for you that you could hang on to it all these years. I'm sure you have many a good memory with the car and your wife. I really wish circumstances were different years ago and I would have been in a position to store my old 75. After all these years and I've never seen another one opted the way mine was. Being an auto mechanic I tend to see my share of car shows. I will post photos when weather is nice and I can wash / wax her. Jay Bee. I was on a quest for a '74 this past summer and found a '77 that I couldn't pass up. I'm extremely happy with it. 53k miles and 98% rust free. I like all G3s, but I was a round headlight guy at first. Now I'm really liking the "4 eyes" look, especially with the vertical bars on the '77 grill.